450 Contemporary Piano Studies in 15 Keys Drawing on author and composer Charles Austin's extensive lifetime experience as an educator and working musician, this work of 30 pieces in each of 15 keys (five keys in each of three volumes) introduces and explores multiple styles—from Classical to Jazz, Blues, 'Country' and Latin, and is an invaluable resource for piano students and teachers at all levels. These pieces can be played as sight reading pieces, or as quick studies, where the wide range of difficulty and complexity will allow both beginner and advanced students to be served. There is a wide range of difficulty and style in these pieces and enough depth, value and detail for most to be studied and performed as pieces on their own. Through chord symbols and other notation, the player will become more familiar with harmony, voice-leading, counterpoint, and the relationship of melody and harmony thus paving the way for improvisation and composition. Pianists involved with of any area of piano or music studies will benefit from playing these pieces. 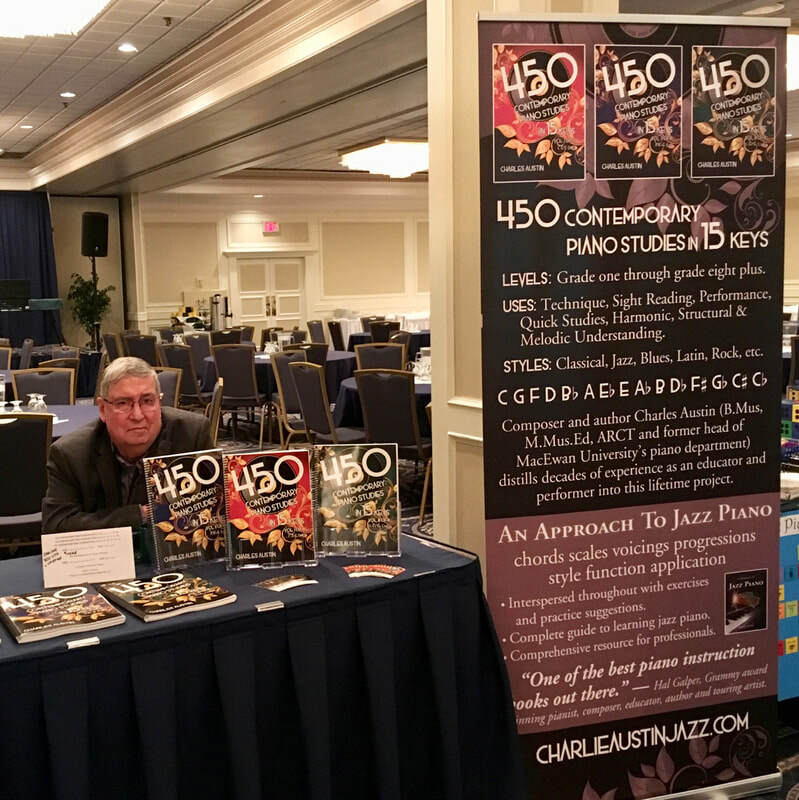 The idea of reading and playing in all fifteen keys could be construed as unusual but in some professional arenas, a player often encounters unfamiliar keys. 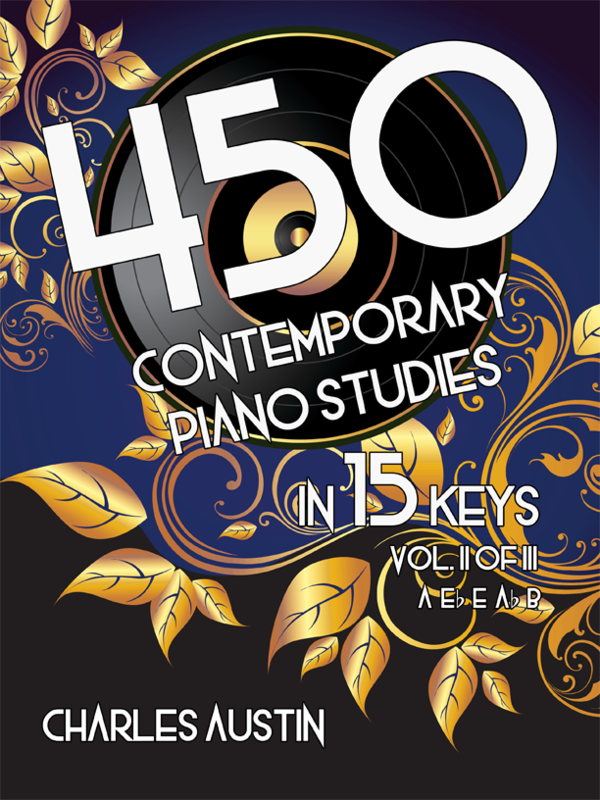 The aim of these pieces is to prepare the pianist/musician of the jazz/pop background to cope with this reality and to help those who have only studied classical piano to become exposed to contemporary jazz art and commercial music styles in practice. Book 2 — 75 eighth note pieces of progressive difficulty in keys of up to two sharps and two flats. Book 2 — 75 eighth note pieces of progressive difficulty in keys of three through five sharps and three and four flats. Book 2 — 75 eighth note pieces of progressive difficulty in keys of six through seven sharps and five through seven flats. Volume 1 begins with simple diatonic tunes in C major through two sharps and two flats which progress in difficulty through the factors of intervallic, chromatic, and rhythmic complexity. Volume 2 and Volume 3 are much like Volume 1 in terms of progress through keys. Each of these volumes has a general graduated level of difficulty. Each volume starts with quarter note pieces (Book 1) and progresses to eighth note pieces (Book 2) with each volume being a little more difficult than the one that precedes it in terms of keys and the other factors of difficulty mentioned. Janina Karaliene, Piano Teacher, Vilnius, Lithuania. 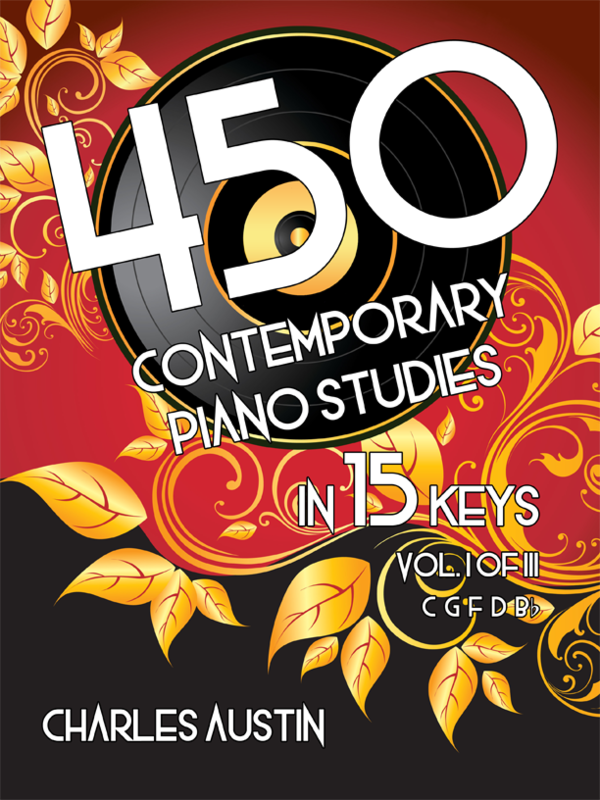 "... one of the most innovative and creative jazz instructors and performers currently writing education material ...some of the most intricate and entertaining approaches for piano key studies ...450 Contemporary Piano Studies in 15 Keys should be in every public library as a fine reference work on jazz piano..."